Probably one of the confusing aspects of Gundam Wing is how the pilots are able to quickly jump from one suit to another. I have been used to seeing Heero in the Gundam Wing. So far, he has transferred to a lot of suits already… Well, it probably only shows his versatility as a pilot and skills in fixing the settings, but still it feels a bit weird seeing him in other suits. The same goes with Zechs. I have been used to seeing him in the Tallgeese. But in the previous episodes, we saw him bid farewell to it. 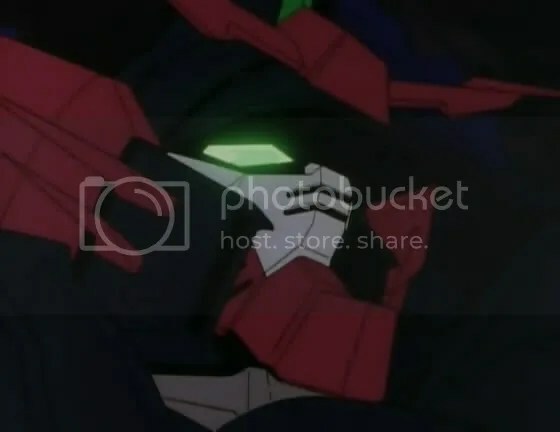 Now, he is in Wing Zero, while Heero is in Epyon. 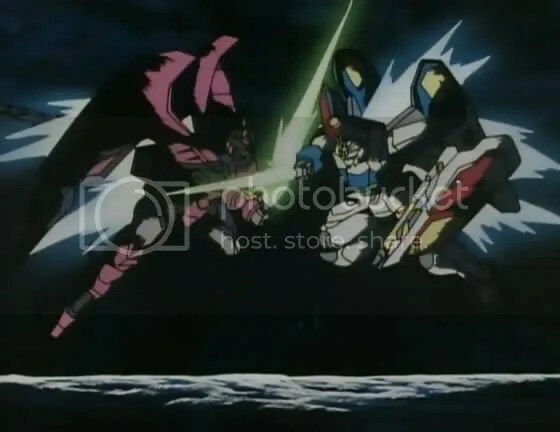 In this episode, Heero and Zechs meet again to do battle, with similar suits. Epyon and Wing Zero both have the similar system installed which enhances a pilot’s abilities, but affects his thinking and judgment, as well. What will happen to these two pilots as they fight each other? Will they be changed significantly, or will they be able to rise above the system and adapt and make use of it better? Anyway, the battle between Epyon and Zero seemed to have halted to a draw when both systems went haywire and both pilots were ejected. I’m assuming that they both have pushed the mobile suit to its limit and something caused a short. 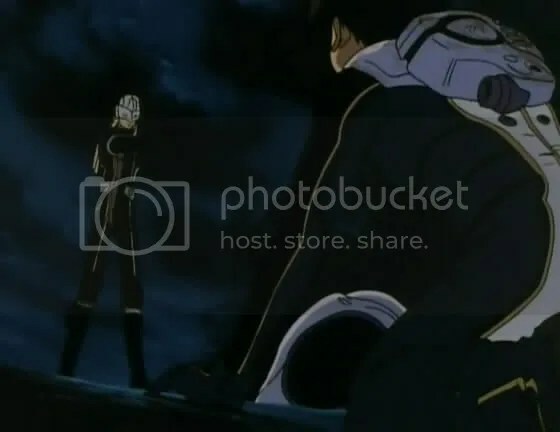 Well, the fight between the suits ended, and while Zechs seemed to have the upper hand with standing like that armed with a pistol, they both collapsed later. Strangely, though, I’m visualizing a scene where the both of them will be sitting in a bar laughing about the events that took place, after Zechs managed to convince Heero to join the cause of fighting the Federation or something… Then again, this is not a shonen series where your rival becomes your best fighting-buddy. Anyway, the episode ended with them switching suits. It makes sense to both of them for Treize built that Gundam, and Zechs knows Treize more than Heero, who also felt that Treize would most likely have trusted Epyon to him. 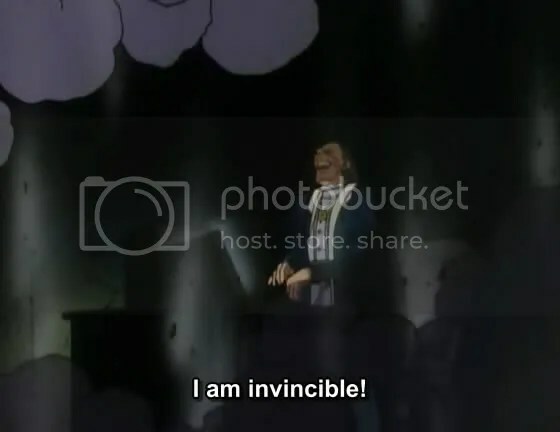 In an unrelated note, why does everyone who declares themselves as invincible ends up dead after declaring themselves as such? 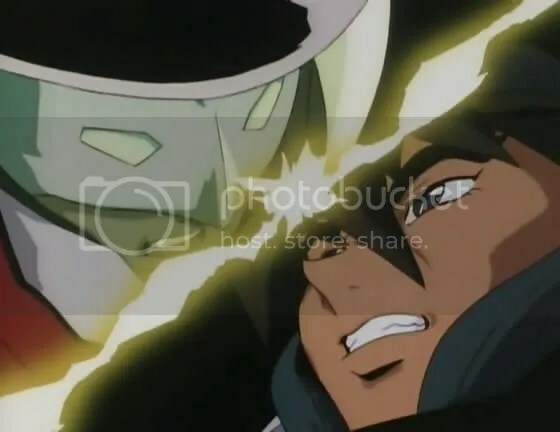 Posted in Feature.Tagged aniblog, anime, battle, epyon, gundam, gundam wing, heero, invinvible, mobile suits, wing, zechs.